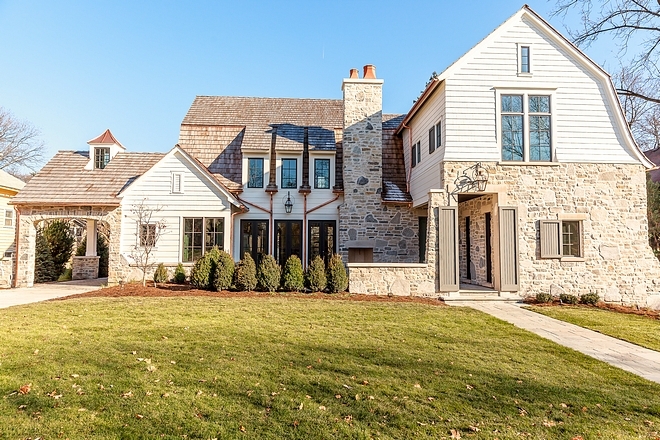 Recently built by Oakley Home Builders, this Glen Ellyn, Illinois cottage-style home features so many details that you need to stop for a minute to stare at them, and I recommend you to start with the stone exterior which truly exceeds expectations. 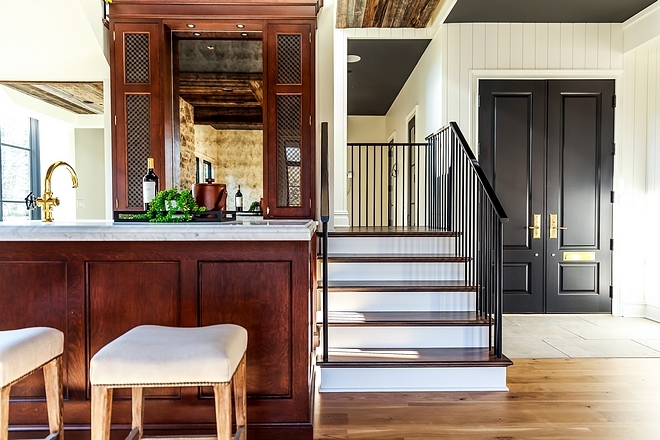 This home is a nice blend of old and new elements that mixes materials in a fresh way. The interiors feel current and timeless, thanks to the classic European influences. 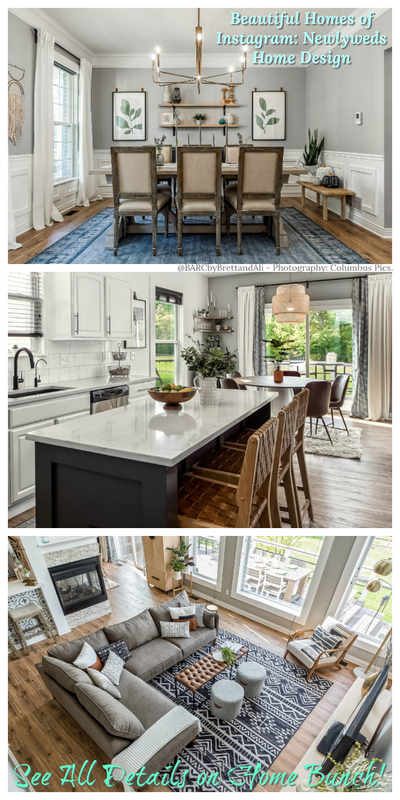 A casual elegance is found in every room of this stone cottage-style home, from the gorgeous off-white kitchen with natural wood kitchen island to the reclaimed wood accents featured in many spaces. 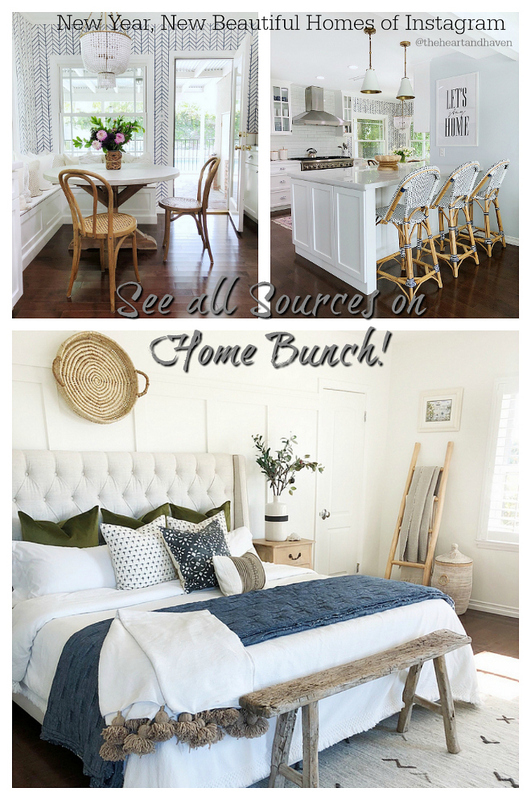 Take note of the sources shared by this talented builder and get ready to fall in love with this home… I know you will love it as much and I do. 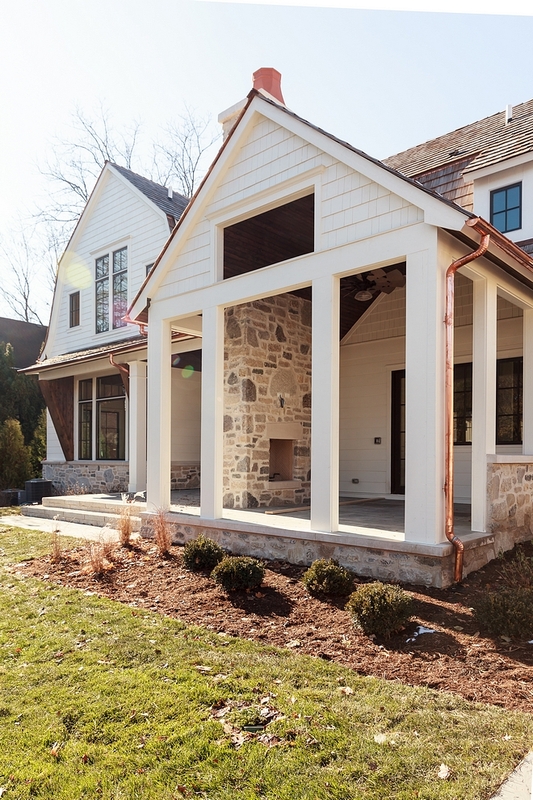 “The exterior layers materials such as stone, siding, cedar shake and copper accents. The charming porte-cochere features a cupola and serves as an entry point to the two story detached garage.” – Oakley Home Builders. Stone: The exterior stone was a custom blend. Different stones were sourced from various places. Windows: Searls/ Marvin MFG/ Bronze exterior. The siding paint color is Benjamin Moore Cloud White. 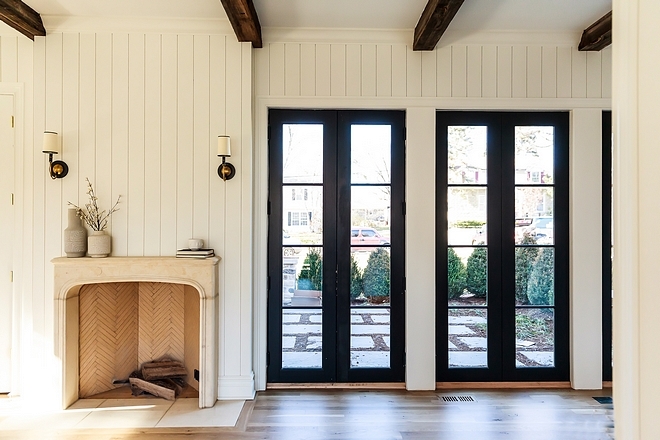 “The front door acts as an entry to the home, but also as an access point for one of two outdoor fireplaces at this home.” – Oakley Home Builders. 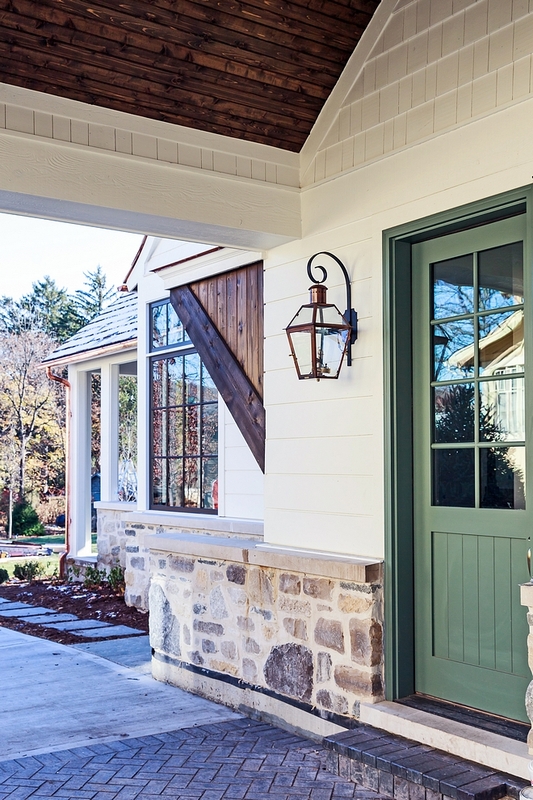 Front & Porte-cochere Door Paint Color: Farrow and Ball Green Smoke. 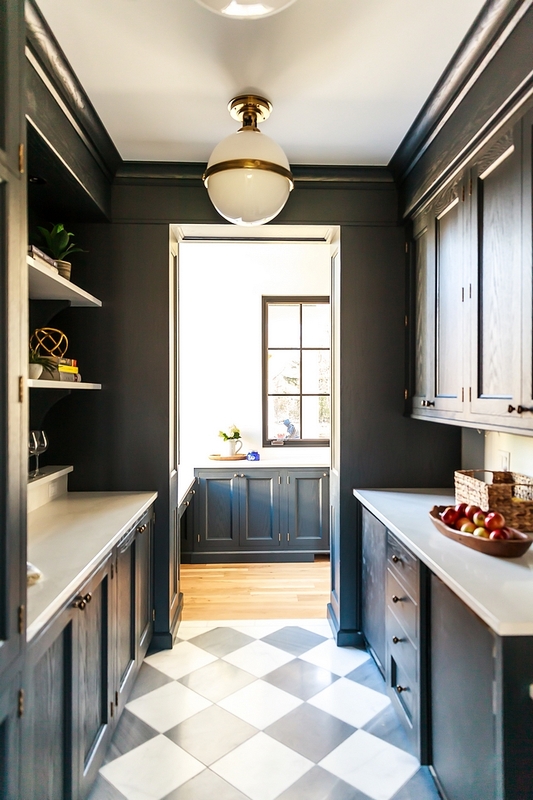 Shutters: Benjamin Moore Kendall Charcoal. Exterior Gas Lanterns: Bevolo – similar Here & Here (gas) & Here (electric). 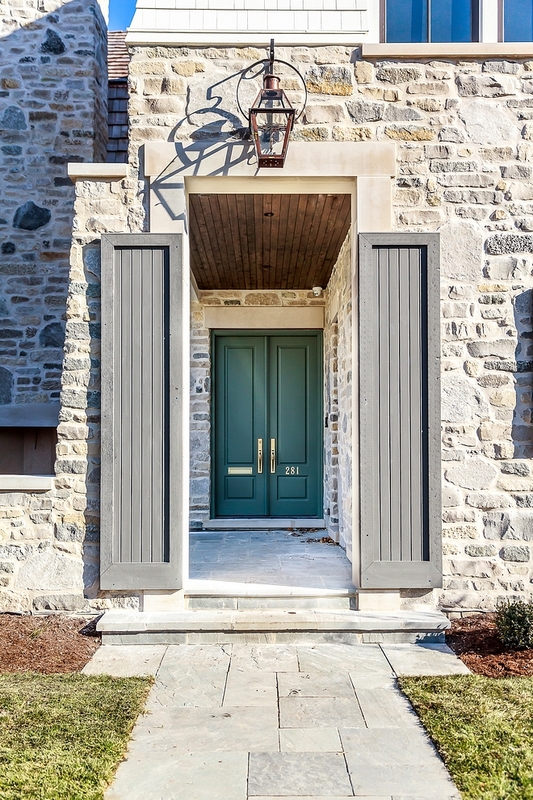 “This side entry, located under the porte-cochere, also features a painted door in a beautiful green Farrow and Ball color and opens directly up to a mudroom and powder room.” – Oakley Home Builders. Exterior Garage Side: Northeast Lantern. 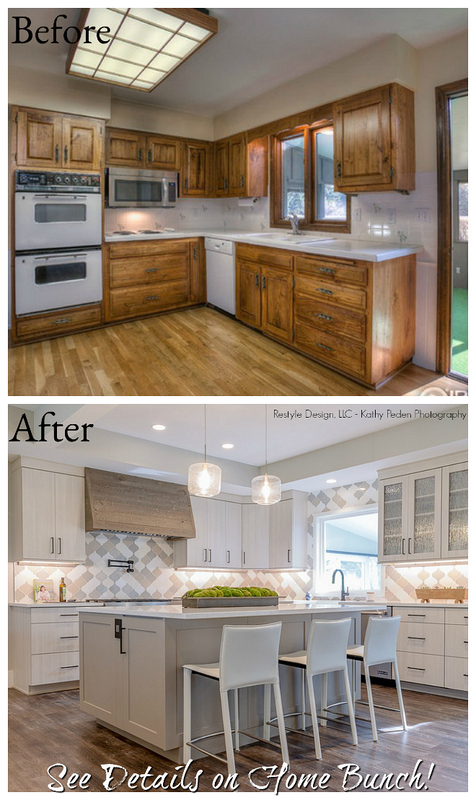 Wolf range, Shaws fireclay farmhouse sink and an expansive island makes this a home-cook’s dream kitchen. Walls are Benjamin Moore White Dove. Lighting: Rejuvenation – Other Beautiful Pendants: here, here, here, here, here, here & here. Similar Counterstools: here, here & here. 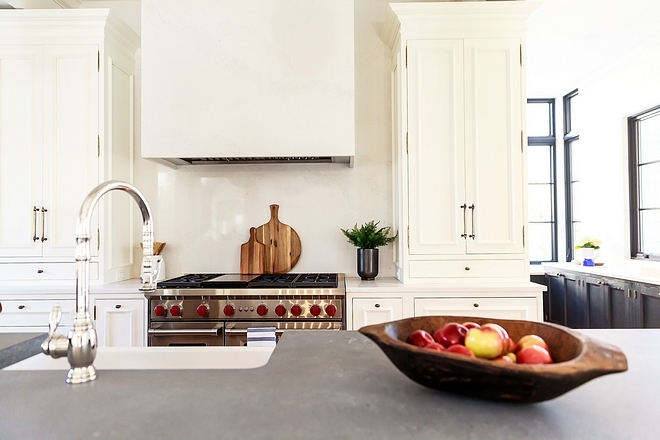 Backsplash & Perimeter Countertop: Caesarstone Calacatta Nuvo. Similar Antique Wood Dough Bowl: here. Kitchen Cabinet Details: Dan- PB Kitchens, Geneva. 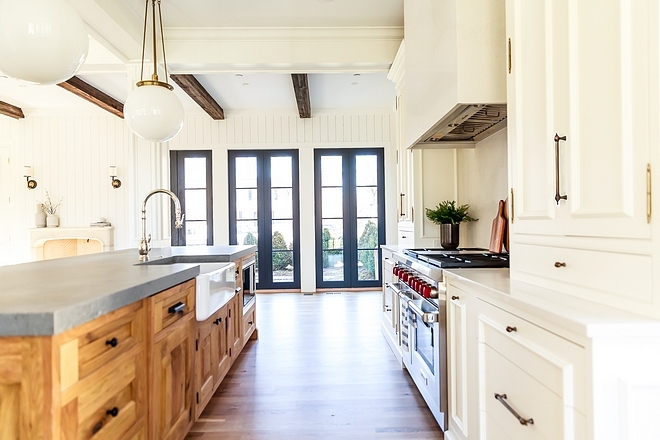 The kitchen cabinet paint color is Benjamin Moore OC-17 White Dove. 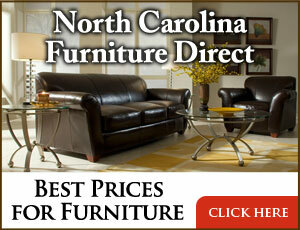 Cabinet Hardware: custom – similar Pulls & Knobs – Other Collection: Pulls & Knobs – Great Quality: Knobs & Pulls. 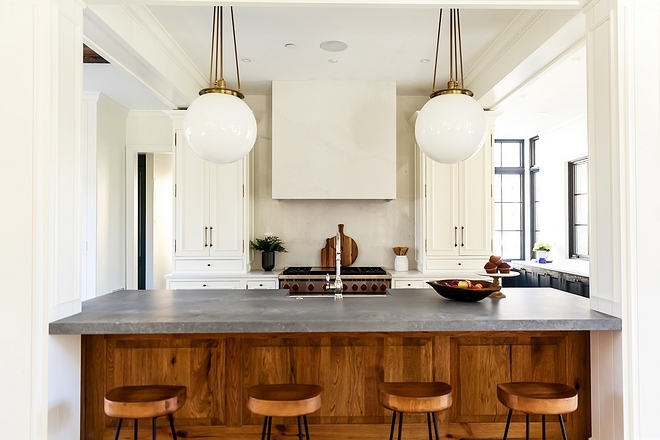 The kitchen island countertop is Caesarstone Rugged Concrete, mitered. 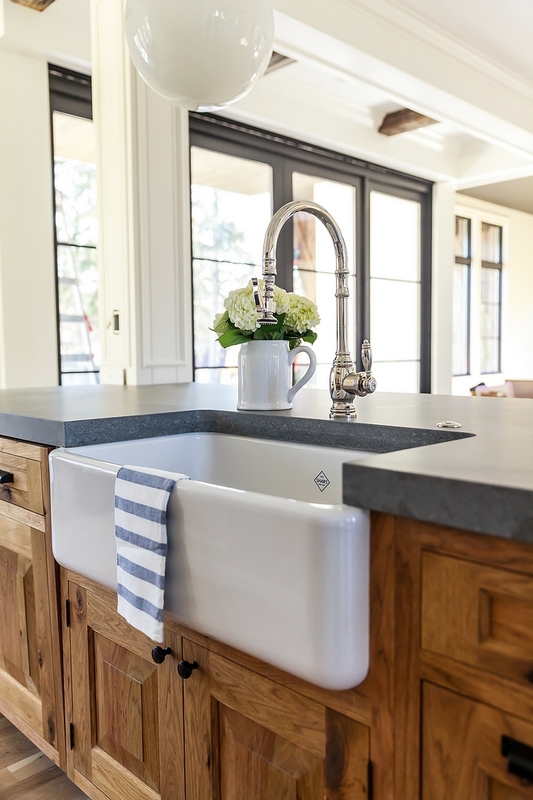 Kitchen Sink: Rohl Shaws – 33″. 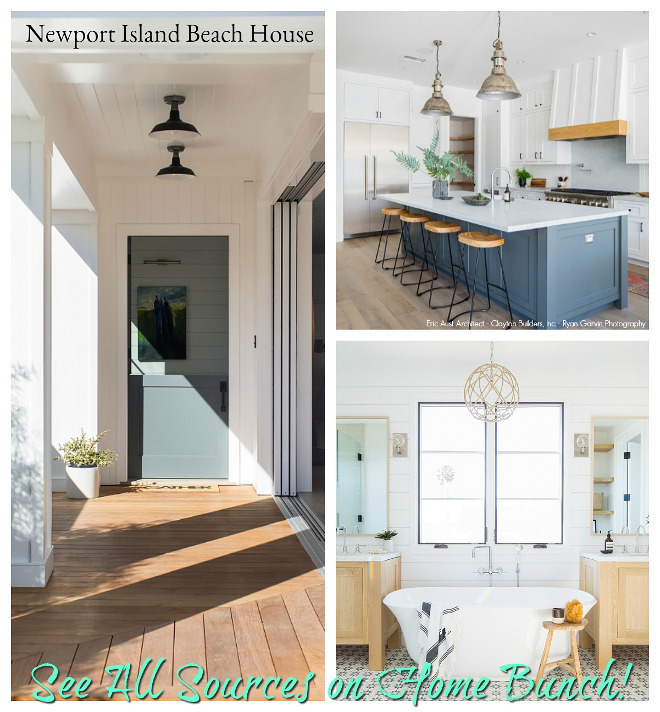 Island Hardware: Knobs & Pulls – in Flat Black. 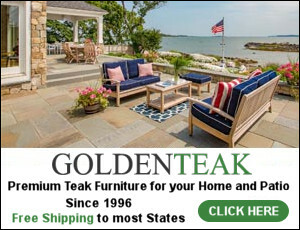 Interior Doors Paint Color: Benjamin Moore Onyx 2133-10 – Pearl finish. Walls are Benjamin Moore White Dove. Interior Trim: Benjamin Moore White Dove in Satin Finish. The butler’s pantry is just off the kitchen. 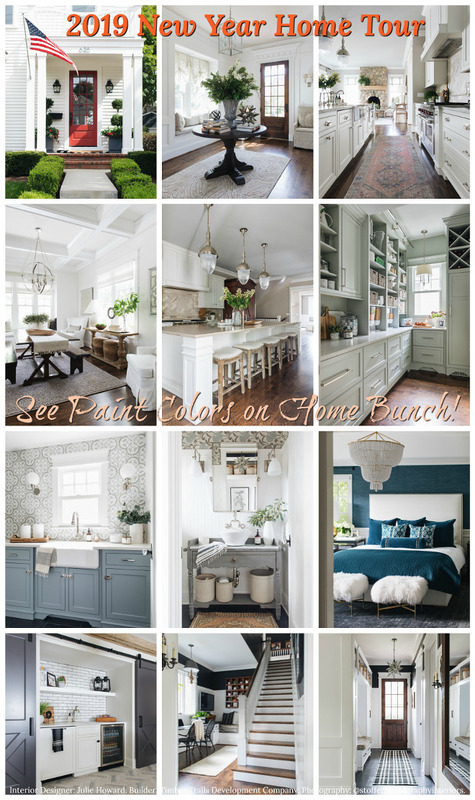 Cabinet paint color is Benjamin Moore Wrought Iron. 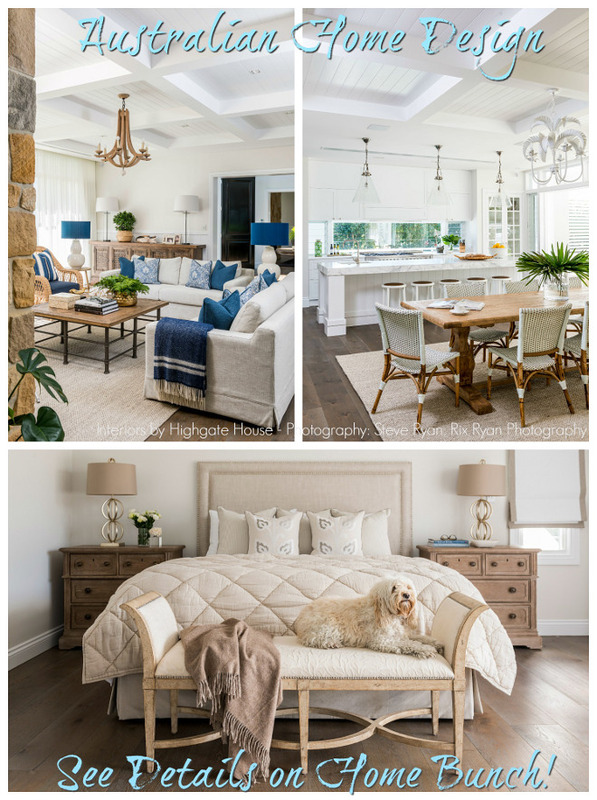 Lighting: Visual Comfort – similar here (more affordable). Floor tile is natural stone. 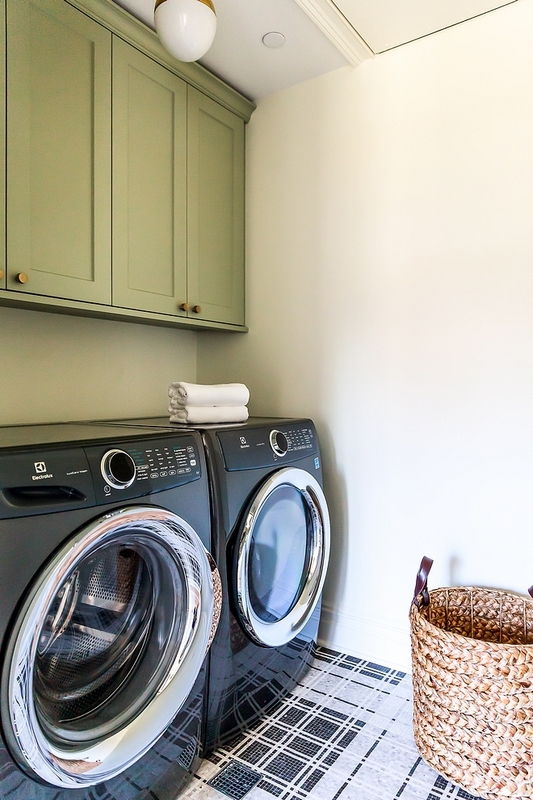 The laundry room features sage green cabinets (similar to “Benjamin Moore HC-110 Wethersfield Moss”), brass hardware and a plaid mosaic floor tile. Tartan Mosaic Tile: AKDO Balmoral Plaid Silver Stone. 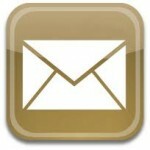 Hardware: here, here & here – similar. Beautiful Baskets (on sale! ): here & here. 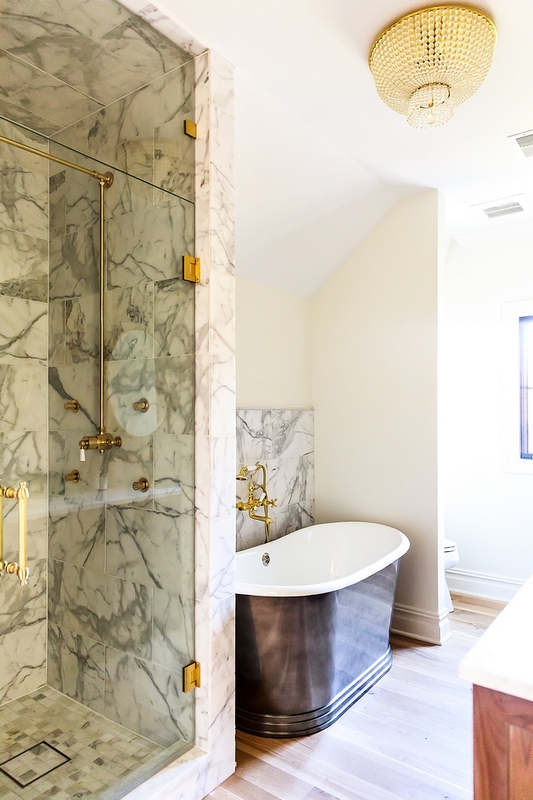 This master bathroom is truly timeless… a space that will certainly stand the test of time. Faucets: Waterworks Julia Wall Mounted Faucet – similar here, here & here. 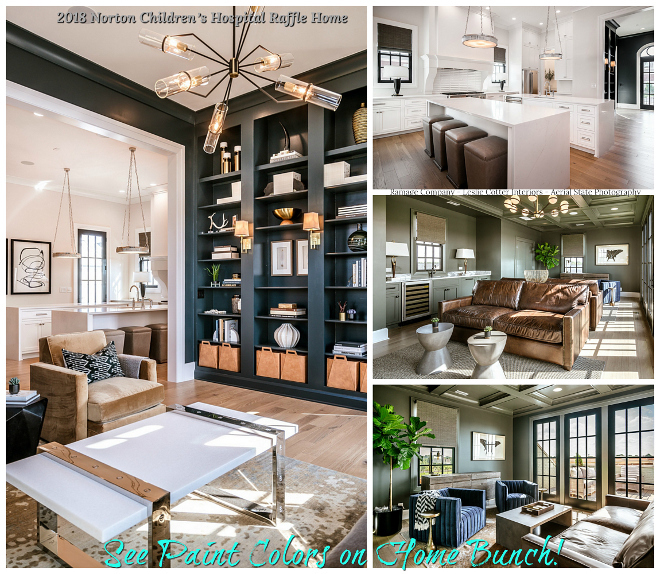 Wall paint color is Benjamin Moore OC-17 in a matte finish. Freestanding Tub: Waterworks Cast Iron – similar here & here. 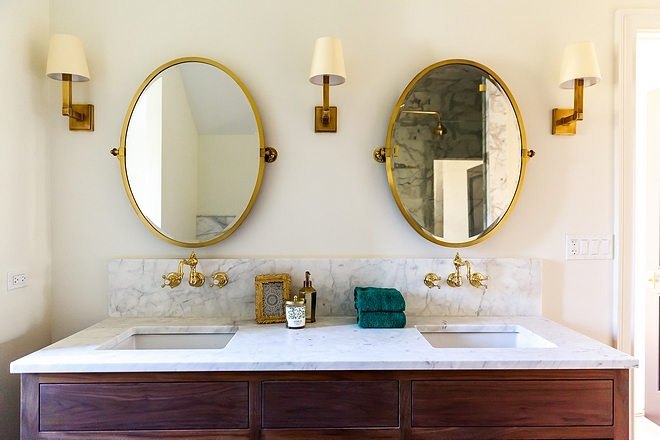 Tub Filler: Waterworks Julia Tub Filler – similar: Newport Brass. Similar Tile: Shower Wall Tile & Shower Floor Tile. Lighting: Visual Comfort – affordable option: here. 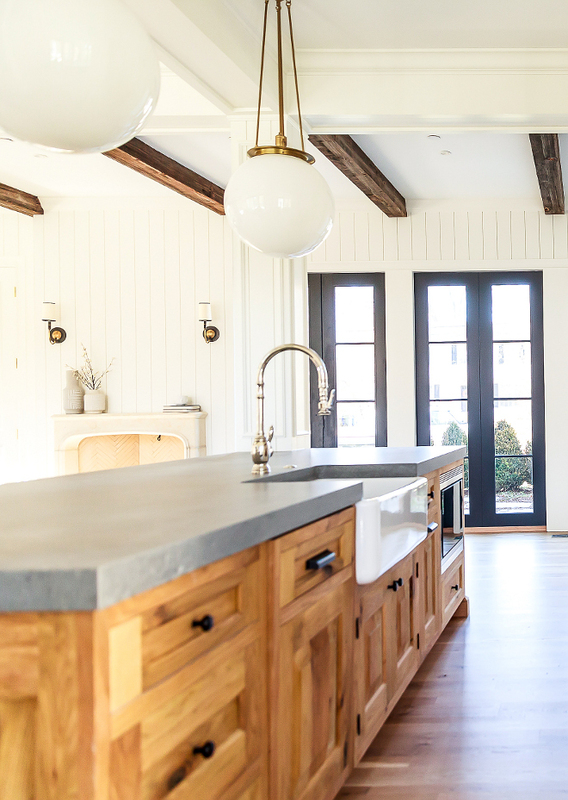 This home features so many stunning ideas, which include the reclaimed plank ceilings and the paneled walls. 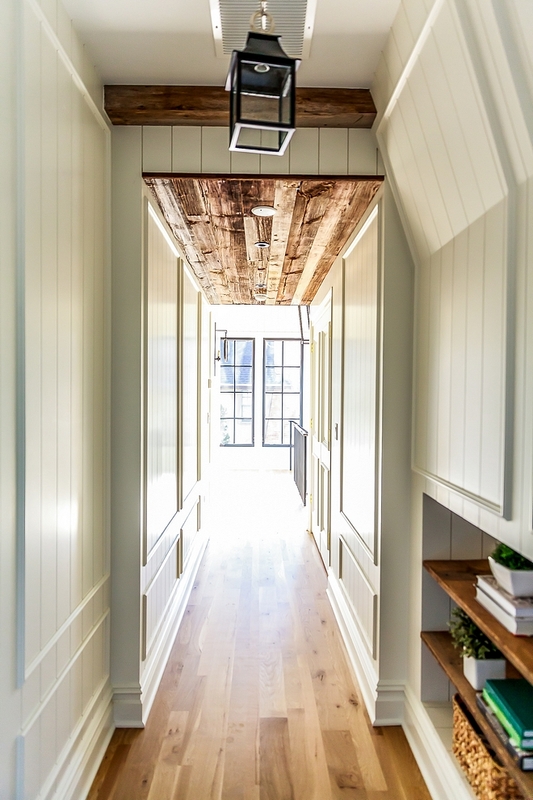 Reclaimed Wood Ceiling Treatment: Adam from Reclaimed Wood Chicago. 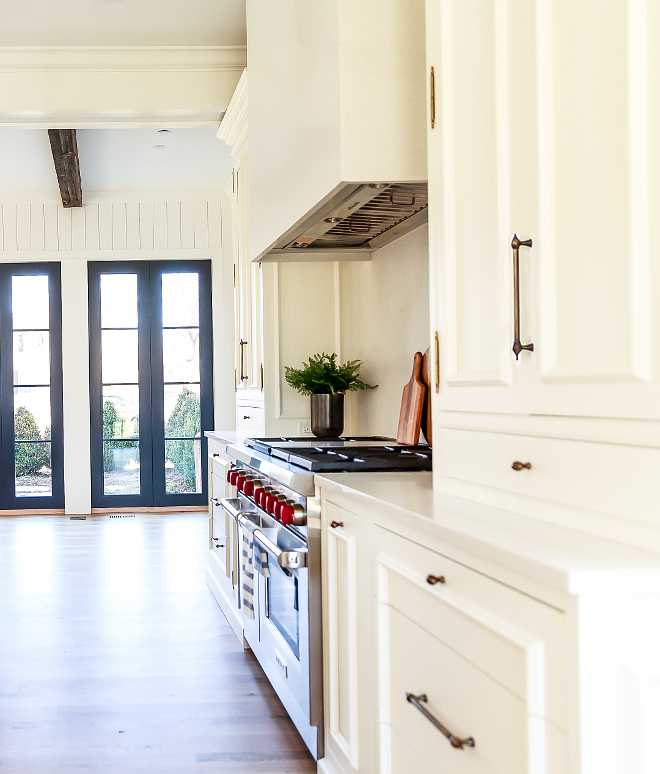 Hardwood flooring is 2”, 3” 5” plank sizes, character grade white oak with an invisible matte stain – Beautiful Hardwood Flooring: here, here & here. 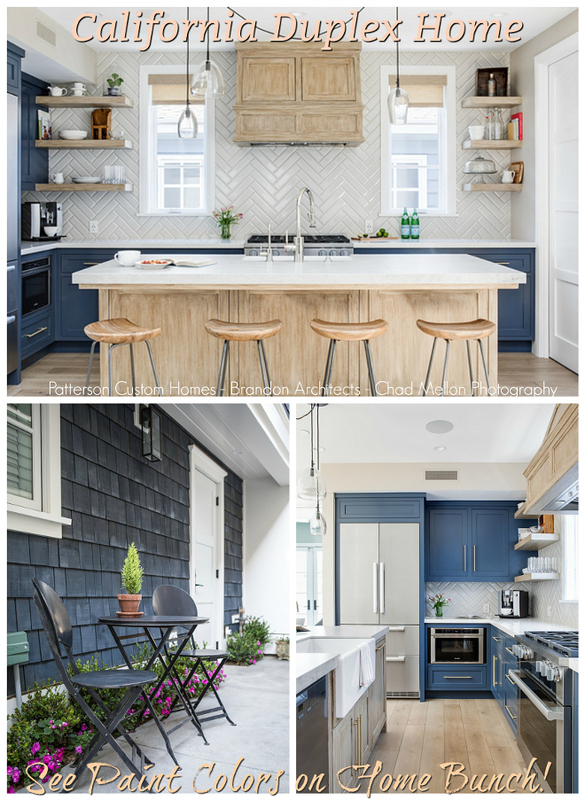 Pendant Lighting: Visual Comfort – similar here (affordable option). 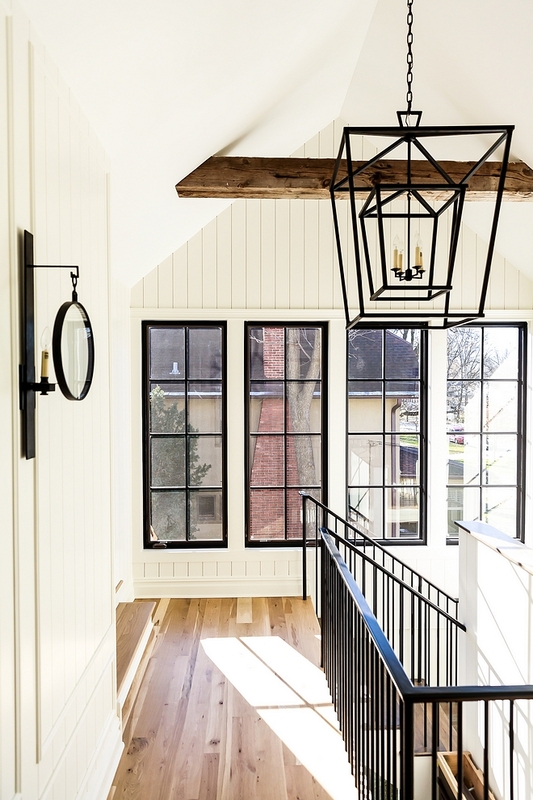 Sconces: Visual Comfort – similar here (affordable option). 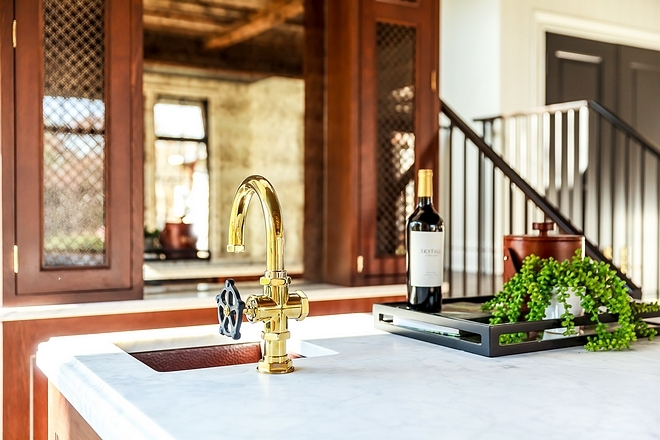 “This showstopper of a bar features beautiful Waterworks faucet, hammered copper undermount sink, and custom cabinetry.” – Oakley Home Builders. Ceiling is painted in Wrought Iron by Benjamin Moore. Bar Faucet: Waterworks Regulator Gooseneck One Hole Bar Faucet. The bar also features an antique mirror as backsplash. Hammered Copper Sink: Native Trails. 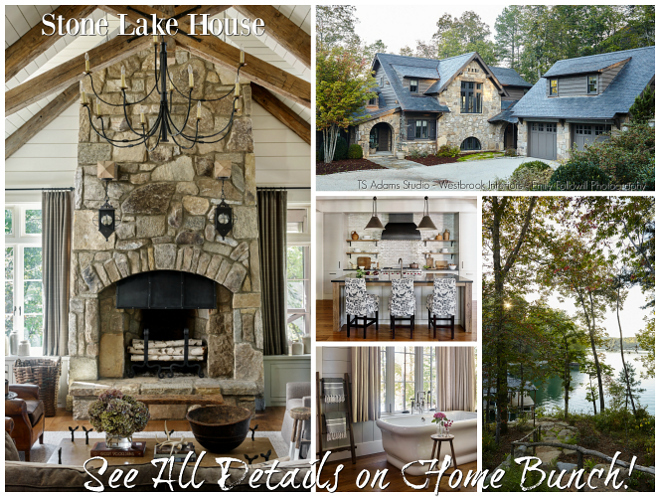 The exterior of the home isn’t the only space that features a beautiful stone. 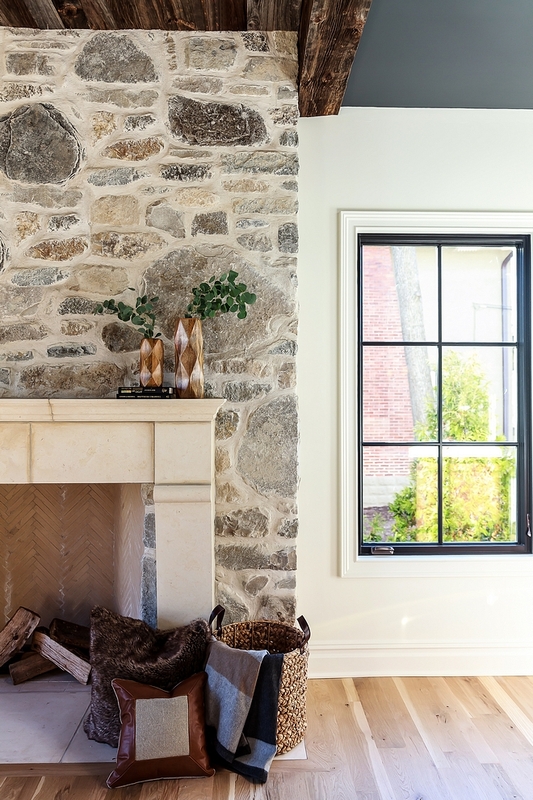 This dramatic stone fireplace creates quite the focal point in this family room. Beautiful Vases: here, here, here, here, here & here. Faux Silver Dollar Eucalyptus Spray Stem: here. The back of this home is equally beautiful as the front. 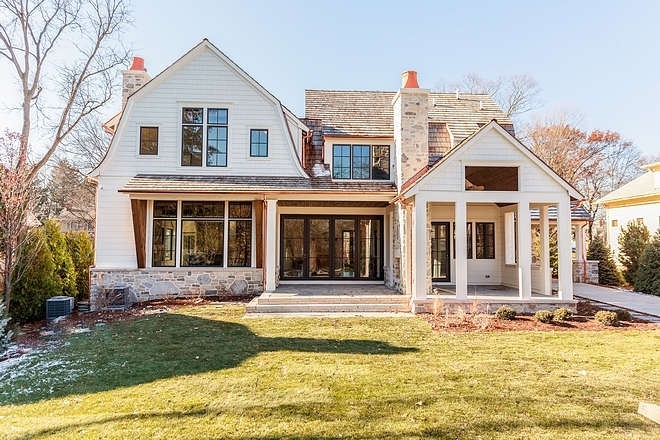 Notice the copper gutters/downspouts and the stone outdoor fireplace. Roof is Taper Sawn Cedar. Many thanks to the builder (& Sarah!) 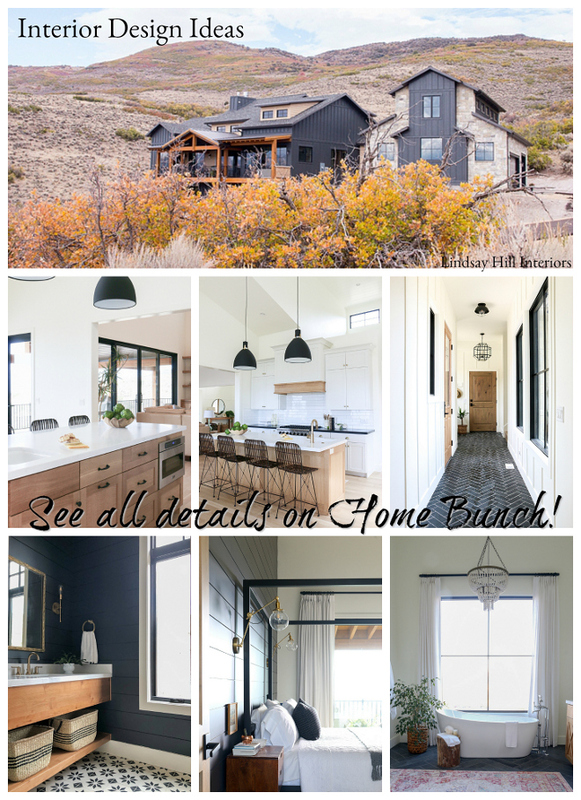 for sharing all of the details above! Interior Design: Park & Oak Design.